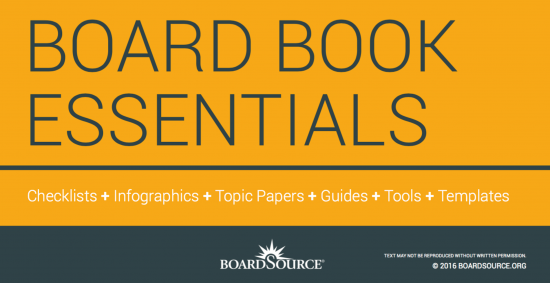 “Board Book Essentials” is a collection of the most important resources that BoardSource developed in 2016 to help organizations build strong board-staff partnerships. It is organized it into three different sections: discussion starters, special topics in five key areas, and reference materials that should be in every board book. Wow. This is meaty and really on point.